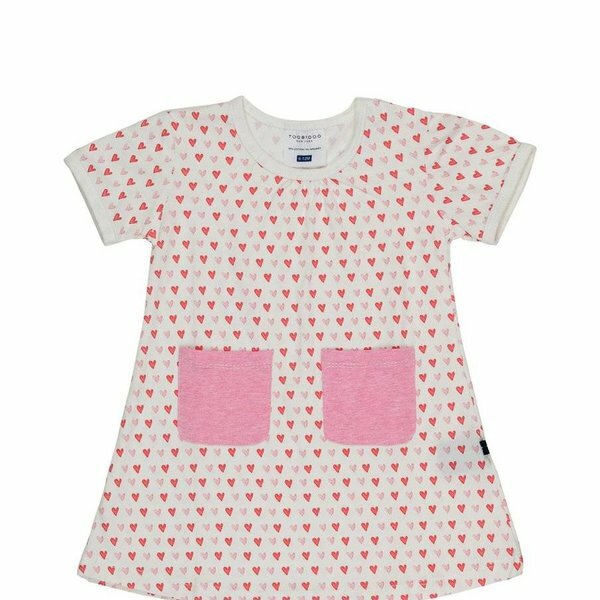 She'll be all hearts and smiles in this playful pocket dress by Toobydoo. Short-sleeve pretty twirl dress with a red and pink watercolor heart pattern. Solid contrasting pink pockets and hidden snap buttons on shoulder for easy dressing. Comes with complementary bloomers. Created in a soft stretch cotton. Machine washable.